Nestled in the West End of Pearl Street, Wonder is a succulent-studded site for sipping on reinvigorating juices and nourishing nut milks (for those craving caffeine, Wonder whips up an especially delectable butter coffee, rich in good-for-you ghee). I first fell in love with Wonder for its sanctuary-like space. The mindfully curated storefront was a beautiful breath of fresh air on a hot Colorado summer day. Since then, I've come back time and time again for their refreshing mint chip smoothie (tastes like a milkshake, but better) and "golden shots"—turmeric-infused elixirs that enliven my morning routine. What I value most, however, is that this juice bar and beloved Boulder hangout backs up its environmental ethos with a strong commitment to sustainability. Wonder walks the walk and that matters when you're doling out eight dollars for a beet juice. The locally-sourced veggies support soil-driven agriculture; the Lineage Seeds on sale by the counter encourage a culture of participatory gardening. There's a whole lot of goodness circulating within the shop. 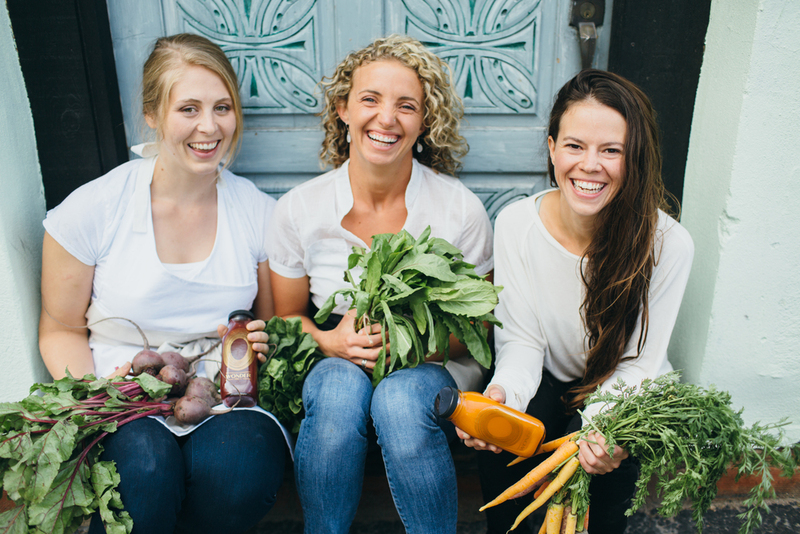 Excited to learn more about Wonder's community work and composting program, I reached out to Erin Brady and Cecily Runge to talk healthful juice cleanses, repurposing pulp, and cultivating a welcoming and engaged staff. (1) What goes on behind the scenes of Wonder that you'd like to share with your community? Erin Brady: The staff environment is very welcoming and positive for the most part. Frequently in the Back of the House (where our juice, broth, and smoothies are made) there are in-depth conversions being had amongst everyone about life in Boulder, news, politics, science, you name it! And on other days, it is very quiet and everyone is content with that. I love the quick pace. Being in a small environment, while challenging at times, inherently forces people to open up. We all work well as a team and really try to do our best to learn from one another. And we compost pretty much everything, including veggie/fruit scraps and all of our to-go cups, lids, and straws. Some of the juice pulp goes to the goats at the [Mountain Flower] farm and some veggie pulps go into the organic bone broths. (2) Tell us a little bit about a typical day working at Wonder. EB: A typical day is different for everyone in the shop. For FOH (Front of the House) it is pretty straight forward. We prep the shop in the morning by getting registers, coffee, and tables ready. Other than that we continually stock the case throughout the day. We have a very dynamic team and we really believe in teamwork. Everyday is different there which keeps it interesting. 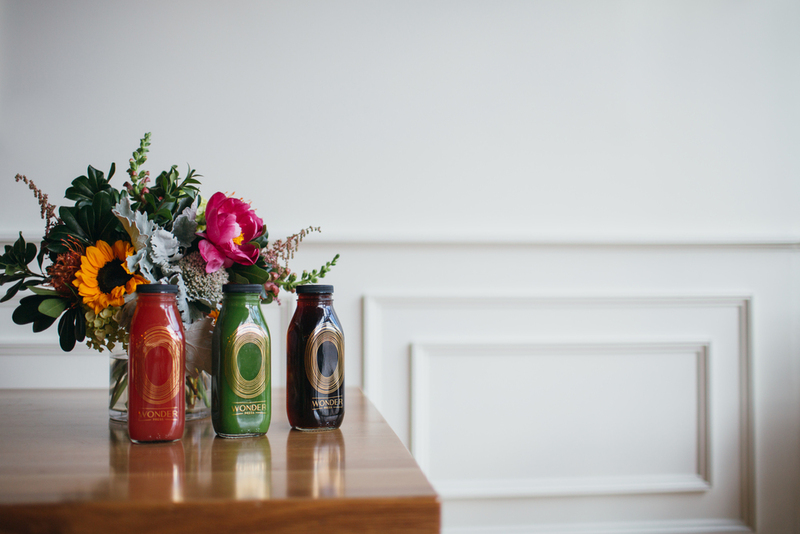 (3) Wonder Press supports a very different kind of juice cleanse than the "fruit juice for three days" model that most of us are familiar with. Why is it important to integrate healthy eating into a juice cleanse and in what ways does Wonder's model promote body-soul nourishment? This one is a tricky one because our cleanse process is in the middle of being updated. In general with cleanses, we have to be careful how we phrase our write-ups about them. We believe in educating our customers and believe our cleanses are more for detoxing and restarting, but we also sell a lot of cleanses to people who want to lose a few pounds. That being said, we don't want to deter that type of individual from purchasing juice from us. I believe cleansing is about listening to your body's needs. If you are starving during a cleanse you can add a healthy fat like an avocado into your day. It is not going to ruin anything! (4) How does Wonder integrate environmental sustainability into its business model? EB: Starting from the first few weeks on West Pearl, one of Wonder's first priorities was to set up proper composting in the back alley. Cecily Runge: All of our to-go ware is compostable, and can be disposed of through the city of Boulder composting system. Our juice pulp is composted or reused in a couple of different ways. Firstly, the Mountain Flower Goat Dairy picks up buckets of pulp to feed to their goats several times per week. Pulp is a great supplement to their diet! Secondly, we compost all of the juice pulp and food scraps in our alley's dumpster. This compost is then collected by the city. When we first moved into the Wonder space, there was only a small, residential-sized compost bin for the 4 neighboring businesses. Wonder lobbied to get a much larger commercial dumpster for the compost. This has given many of our local businesses more room to properly compost food waste. We have sent some people home with bags of pulp for home compost systems, but this is not a regular program. We are also looking to create products from our pulp and food scraps, such as pulp crackers and muffins! Dog biscuits could be good from our yam scraps as well. (5) Wonder turns one-year old this solstice! What can we expect from the team in the coming year? CR: We are excited to start looking at the possibility of taking Wonder to new places. The details are still in the dreaming phase!